Offspring3 needed a hockey themed card (favorite team: Washington Capitals). Lickety split, I was done. Supplies: Stamps – Reverse Confetti, Stampin’ Up!, paper – Gmund Royal, Neenah Classic Crest Solar White, Stampin’ Up! Real Red, inks – Hero Arts Unicorn, Stampin’ Up! Brilliant Blue (retired), Real Red, dies – Lawn Fawn, embossing powder – Filigree Fine Art Powder white. 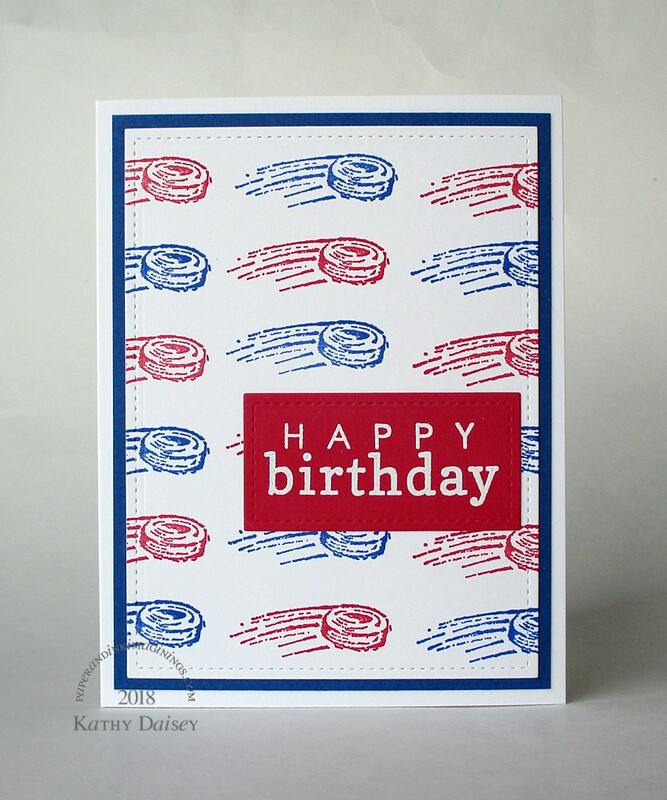 Categories: birthday, card | Tags: card, Gmund, Hero Arts, Lawn Fawn, Neenah, Reverse Confetti, Stampin' Up! | Permalink.